Ted Mahsun: Thoughts on Nazri M Annuar's Opera Angkasa. Every good SF story always brings something "new" to the scene. One of the new things that Firefly brought to SF was that it was a space western. There have been space westerns before, yes. Star Trek started out with Gene Roddenberry pitching to TV executives as "Wagon Train to the stars" while the Tatooine scenes in Star Wars: A New Hope are very heavily influenced by Westerns. The Japanese took the concept a little further with TriGun and Cowboy Bebop, but there has never really been a space western like Firefly. The real conceit of Firefly was that it was space opera that took the words "space western" literally, blending it with a Sino-American influence, and throwing out the silly aliens that usually inhabit other SF of this kind. And it was live-action. The good writing--mainly the excellent dialogue and unique storylines and situations--managed to secure Firefly with a sort of cult-, if not legendary, status. Too bad it didn't last more than half a season. Firefly's longevity (or lack of it) aside, it remains one of the greatest and most-loved science fiction series ever. Why I mention this is because in the acknowledgements page of Opera Angkasa, Nazri M Annuar thanks Firefly creator Joss Whedon and Firefly's protagonist, Malcolm Reynolds. I'd say putting this in the beginning of the book is a gutsy move for Nazri (aka Vovin) because no doubt people will make comparisons between Opera Angkasa and Firefly. Which will be a shame, because if comparisons are made, Opera Angkasa will no doubt fall flat, which isn't quite fair. 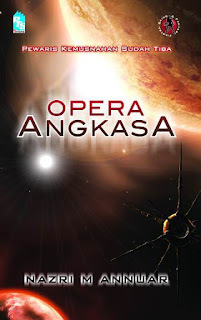 Opera Angkasa, for a locally-published science fiction novel, is a bloody excellent read (even if it does ditch the space western setting of Firefly, and besides that would have totally been copy-catting). I will start with what I don't like about Opera Angkasa. For starters, its unoriginality. Take its setup and story, for instance. It is so much and too much like Firefly. The spaceship, Rajawali (which would be a dead ringer for Serenity in Firefly if it weren't for Rajawali's extreme ugliness), is a freelance cargo transporter, very much in the spirit of Firefly's Serenity and even Han Solo's Millennium Falcon. The captain of the Rajawali, Arman, is an amalgamation of Malcolm Reynolds and Han Solo, only taken up a few notches on the extreme side of the badness scale. Several characters you will recognise their counterparts from other science fiction films. 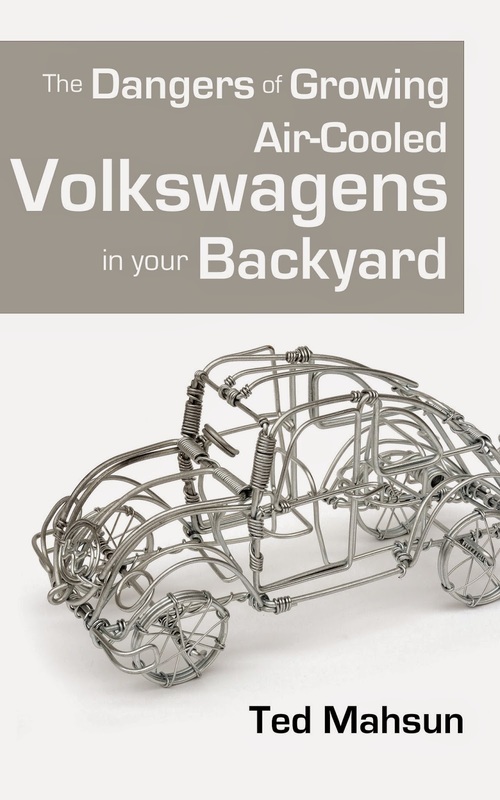 Even several scenes have been taken from other SF flicks and recycled in the book. For instance, there is a scene where the protagonist's spaceship, Rajawali, has to flee their adversaries. Rajawali conveniently ducks into an asteroid field and leaves the chasing fleet behind them. Sound familiar. Of course it does, if you've watched Empire Strikes Back. Yes, there is a huge feeling of deja vu when reading this book. However, it is very much to Nazri's credit that even with all the recycling he's done, he's actually smart enough to take all these good parts of every other science fiction movie and arrange them in such a way that it actually makes for a better story and a wholly enjoyable read. One of the other reasons why Opera Angkasa is such an enjoyable read is that Nazri is also gifted with an ability to write with great humour. I found myself guffawing quite a lot while reading it. And the humour isn't laid on thick either. Nazri knows when to use humour to soften a harsh situation or to show contrasts between characters. While the humour isn't used sparingly, it doesn't spoil the mood either. Another reason why Opera Angkasa gets it is in the pacing. Just when things are getting a little too exciting in the book, Nazri lets up and allows the reader to take a breather while the characters enjoy a slow moment. And when the Next Exciting Event happens, the reader is refreshed and ready for it. It's hard to describe really, but what I'm getting at is that Opera Angkasa has a good rhythm and balance when it comes to fast-paced action scenes and slower paced expository and dialogue scenes. And as for that unoriginal story and setting. That really only applies to the first half of the book. When you get to the second half, Opera Angkasa, exposes its true self very much in the manner of the Matrix of Leadership in Transformers: The Movie when Hot Rod gets a hold of it. And from there on the story gets much, much better and ultimately leads to a very satisfying ending. If you're one of those people who think Malay books are crap, moreso if its Malay science fiction, then Opera Angkasa might be the book that'll change your mind. Just don't compare it to Firefly, and you'll be good. DISCLOSURE: There is a character called Ted in Opera Angkasa who is, in many ways, exactly like me. His braveness, toughness, tallness, darkness, handsomeness. All me. But in no way was I biased in writing this review. Such an extensive review and a great one as well. You are the man Ted! Ahahaha, thank for for the review. Btw do come to Maskara ya? I'll try! I've just realised that the KLABF starts the same day so I'm not sure if I'll have enough energy to be there as well. We'll see! The Sci-Fi fan that I am... Yes, I was making comparisons left and right and was disappointed at the similarities somewhat but you are right... the whole thing was done well and led to a satisfying conclusion... my only issue? I wish it didn't end too soon! As for the book ending too soon, I would say just be patient. 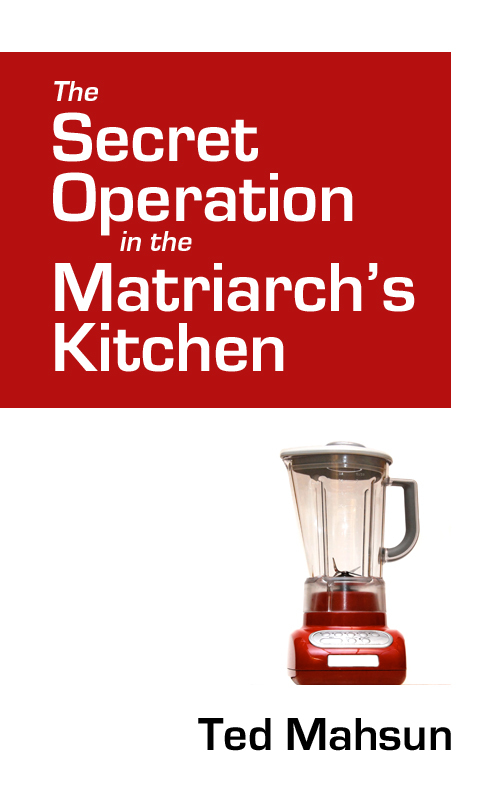 The author told me that it's meant to be a continuing series of books, but I think future titles will depend on how this one fares in the market. Which brings me to the next point. 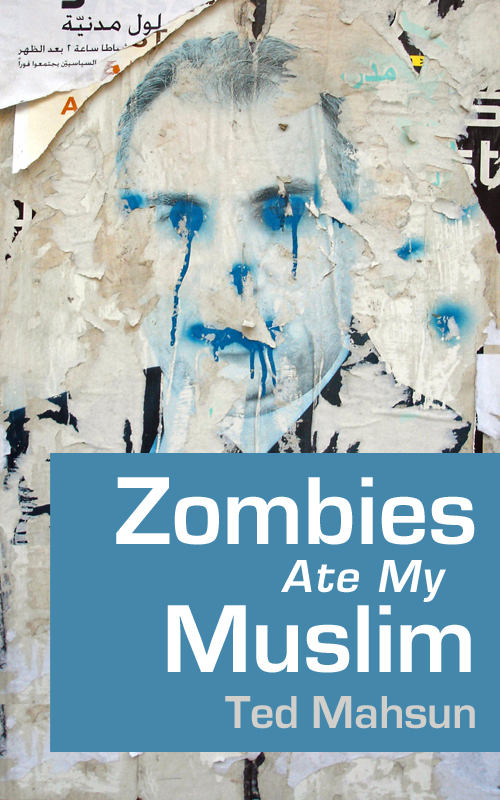 If you want to read a sequel or sequels, do spread the word on the book. One good way is to write your own review on your blog if you have one, telling how great it is, and then telling your friends to read your review. Anyways, thank you for reading my blog and hope you will comment more in the future. great review bro! n thx for the link! No probs, Fadz. I think yours is a well-written review as well!